On WEDNESDAY, MARCH 27 2019, STUNNA presents a special installment of 'THE GREENROOM' on BASSDRIVE radio. 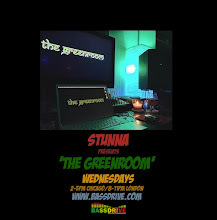 Closing out another action-packed month of programs, we're treated to an exclusive guest mix from a true 'GREENROOM' favorite. DJ, producer and label owner CALCULON makes his triumphant return to the show. Since his last appearance here nearly two years ago, SAN DIEGO, CALIFORNIA-based artist CALCULON (aka NIKOLAI BORDOKOFF) continues to move strength to strength in the fast-paced world of DRUM+BASS music. With a brand new release on the revered none60 imprint (in the shapes of 'COMFORT ZONE' and 'LEADS,' alongside the talented DAVE OWEN, JAYBEE, and NEVE), CALCULON has also found time to curate his beloved SHOOT RECORDINGS label. Its next offering drops in early APRIL and features CALCULON, AUSTIN SPEED, JIMMY HOFFA, and A.FRUIT in supporting roles for the debut 'MEAZELS' EP from ROOT FOR THE VILLAIN. Coinciding with its APRIL 9th worldwide release date, catch CALCULON supporting the label's stellar new EP at SEATTLE, WASHINGTON's long-running club event 'DNB TUESDAYS' (located at the venerable BALTIC ROOM venue). 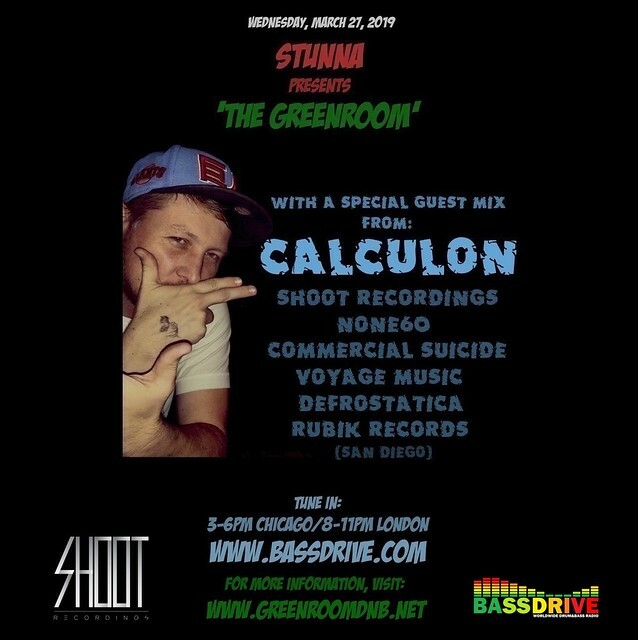 With a grip of new original music, label action, and global tour dates to unveil this springtime and throughout 2019 (including a debut appearance this summer at the genre-bending OUTLOOK FESTIVAL in scenic CROATIA), CALCULON graces this edition with his ever-eclectic, quality blend of low-end, global bass pressure. Tune in!